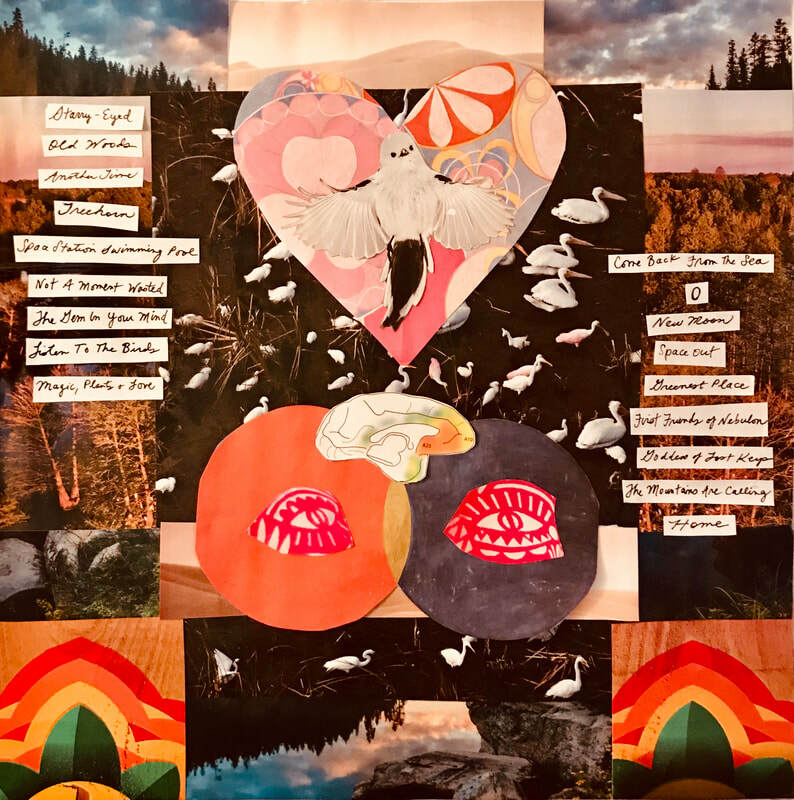 Natural Impressions is a collection I’ve been recording myself/working on for a bunch of years, with songs about home, space, growing up in the woods, doing better, looking to the cosmos, looking for peace. You can buy it here! Much of it consists of samples I recorded over the years on location in special places I was visiting, like a yoga retreat on Nantucket where I wanted to capture the sound and feeling of walking through the grass with the birds chirping above. So I did just that on “Magic, Plants & Love,” and recorded the vocals in the bathroom of the house where I was staying in 'Sconset (bathrooms have great acoustics for recording vocals, in my opinion). I also recorded breaking branches and walking through leaves on “Old Woods,” which creates the percussion for the whole song. A water-filled goblet warbles on "Starry-Eyed," etc., and I use real instruments as well, such as guitar, organ, banjo, glockenspiel. I like to let the sound build itself from the ground up/sky down and then see what melodies and harmonies pop in. Some songs are snippets, mood pieces, an attempt to capture something of the essence of time and space. I truly don’t know where it comes from, but I love that it does. The muse has my heart. ​Also I recorded, as I always do, the sounds that I needed to hear. I created the collage for the back cover. The front cover is one of my favorite photos of my mother on the back porch of one of my favorite places, our beach house in Beach Haven, New Jersey. My mom was always happy there, as was I. Since my dad recently passed we'll be selling that house soon, which added some poignancy for me to that image and also lit a fire to release this music finally, what with life being short and all and Dr. Wayne Dyer's "Don't die with your music still in you" bandying about in my head and heart. 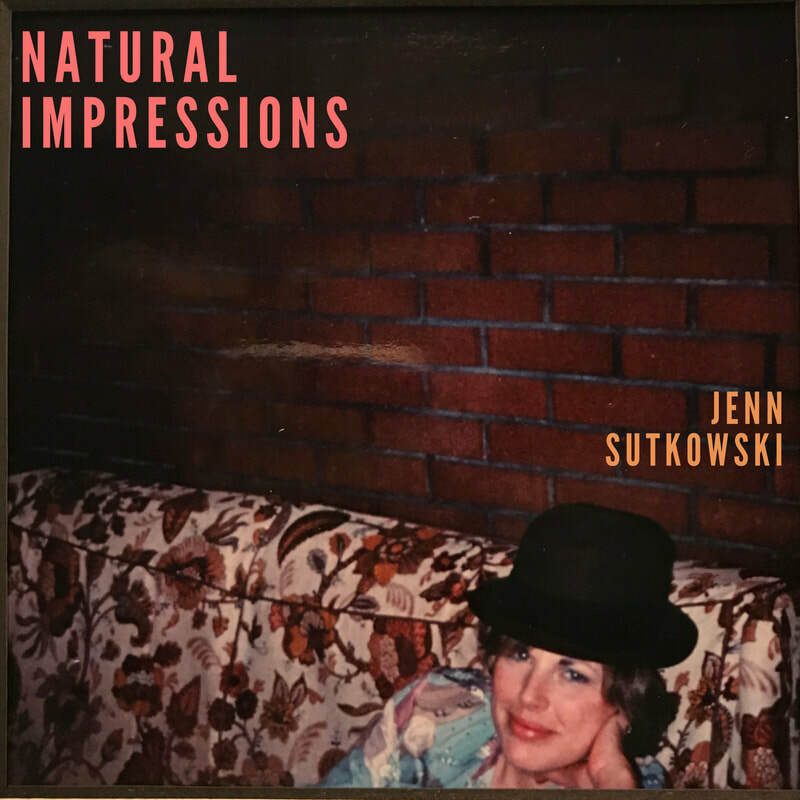 Natural Impressions is available to purchase on Bandcamp! Mixed and mastered by Z.V. House at Rabbit Brush Studio in Boise. And here are a few rough-cut samples!